All portraits of animals or people are drawn in high quality Faber-Castell Polychromos pencils on a 270gsm Strathmore Bristol smooth paper. I would require a high quality photograph at a good size to enable me to get a good likeness of what you would like drawn. Preferably i would need the photo to show the subject's main features as clear as possible. The better the photograph, the better the portrait. 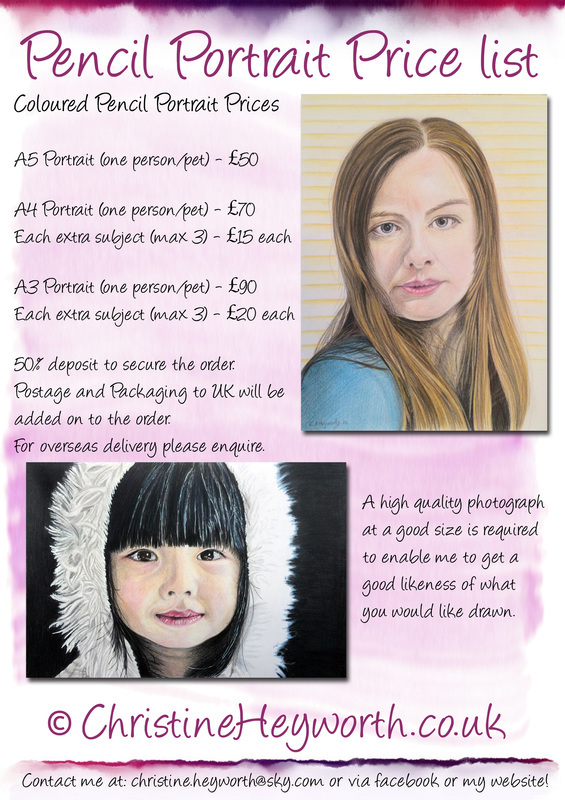 All prices are listed below and are based on head and shoulder portraits with no or little detail in the background. If lots of detail is required a further charge will be added dependant on complexity. Once committed and the price agreed i will require a 50% deposit to secure the order. Update photos of your portrait in progress will be supplied. Please note i do post update photos of my work in progress on my Facebook page so if your artwork is a gift and you don't wish for images to be posted publicly please let me know. 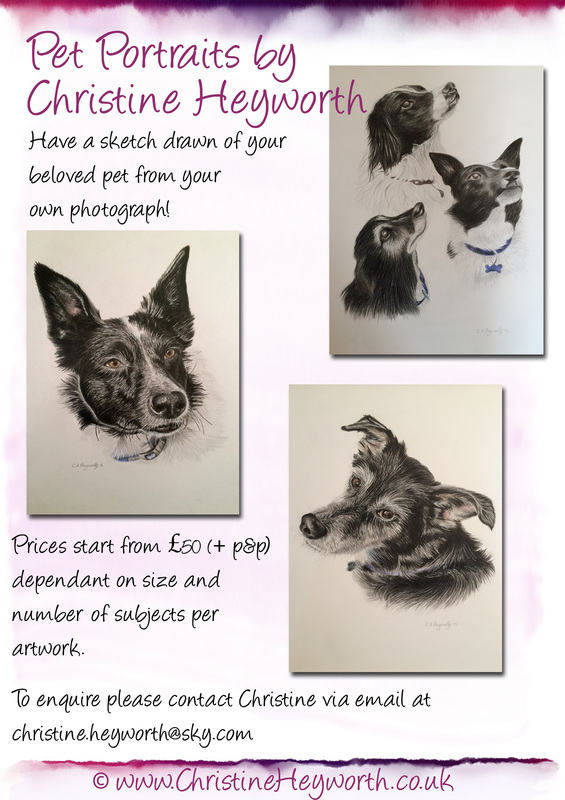 Once I have completed the artwork I will then email you a photograph of the piece for your approval and will then ask for the remaining balance before sending the artwork out via recorded delivery. All payments can be made safely and securely via Paypal, by credit or debit card, cheque or cash. Please note that delivery prices quoted are for mainland UK, for overseas delivery please enquire.